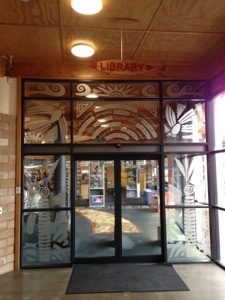 Day 4 of our study visit and today we visited some of the libraries to the west of Auckland. 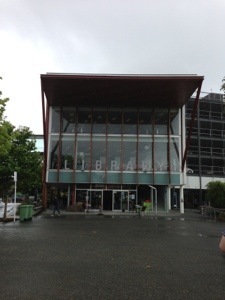 First up was Titirangi Library, surrounded by lush rolling countryside and the harbour. 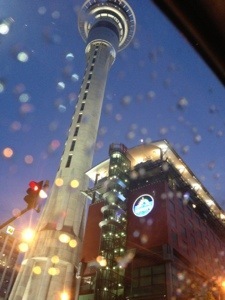 I am sure if I worked there I would have my nose to a window gazing at the views! 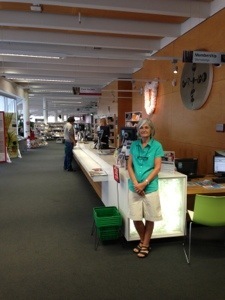 We talked to Rachel and staff at Titirangi, and asked what type of things do you do for readers advisory in this library? 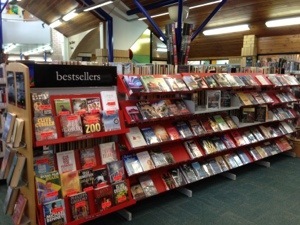 Rachel responded straight away with, ‘we all read here and love talking to our customers about books’! Best answer ever!! 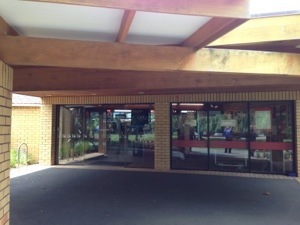 Next up was Massey Community Library, co-located with a YMCA and a daycare centre. 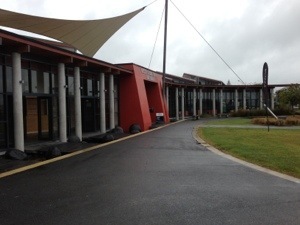 The spaces are built around Eco principles with water features outside helping cool the inside of the building. 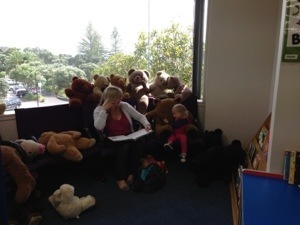 Of interest was the amount of staff on the floor talking and helping customers. 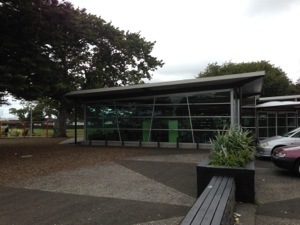 Lastly we visited Waitakere Central Library, co-located with the Unitech across the road. 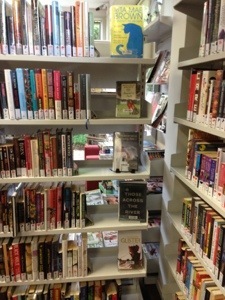 This library had a fabulous local studies collection, and had much more of a research focus, reflecting the community it serves. 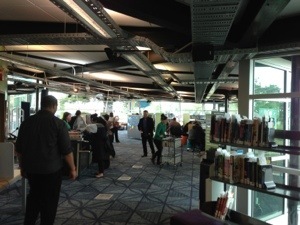 Alison and I have been amazed at the variety of libraries and the communities they serve within Auckland City Libraries. 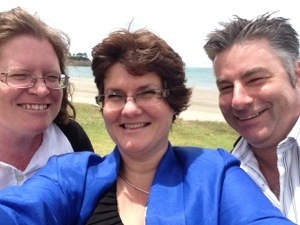 We have been introduced as the librarians from Australia (haha!!) 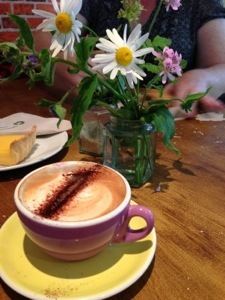 and have been blown away by the generosity shown to us by all the staff we have spoken to. 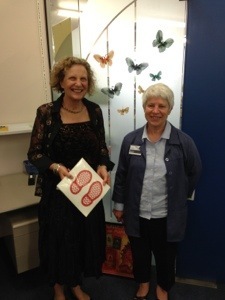 Thank you so much for sharing your libraries, collections and ideas. 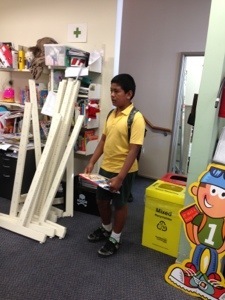 Today we visited three different libraries within the Auckland City Library service. 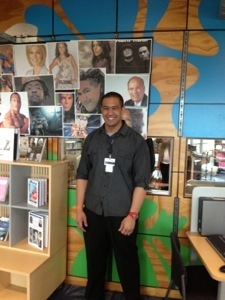 First was Tupu youth library at Otara where we met Richie and his staff of children and teen librarians. Tupu is a purpose built library created to meet the needs of the youth in the community, and to provide safe spaces for young people. I really loved this space and idea, and was impressed with the staff and their vision for their service built on community and respect. 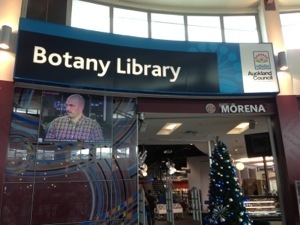 Next up was Botany Library where we met Karen and her staff. 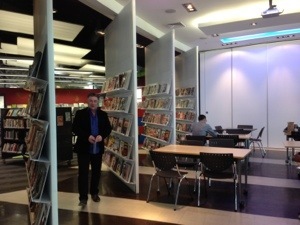 Botany library is located in a shopping centre and was built with retail principles in mind. Extended opening hours, purpose built equipment that promotes and displays collections and staff recruited to reflect retail principles of customer service and deliver a high end retail experience. 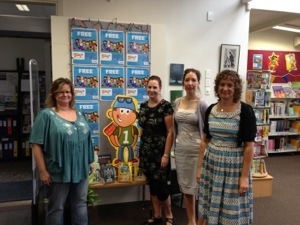 Last up was Onehunga Library, where we met Rachel and her team, and were reminded of why we do our job. 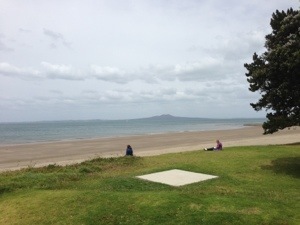 Onehunga is located in what was traditionally an industrial, lower socio-economic area that is changing into a boutique community. 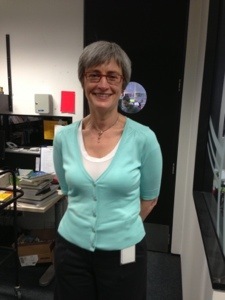 Rachel believes attitudes make a big difference to the service you provide, and has staff greeting community members and spending time with them on the floor. 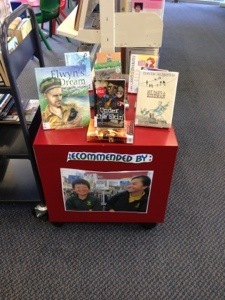 We loved how she encouraged readers advisory using the young people in her library! 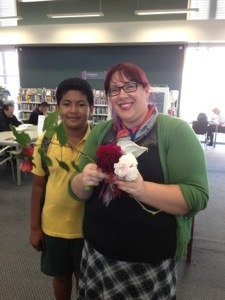 We also witnessed Phillipe – one of the children who use the library everyday – thank Rachel and her staff with flowers and a song for the time spent helping him this year. 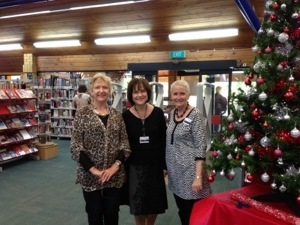 Alison and I were very moved, and it was a lovely reminder of the importance of libraries in local communities. 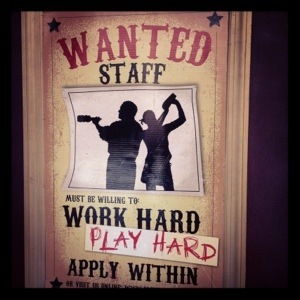 Last up, I saw this recruitment sign, and was very taken by it! 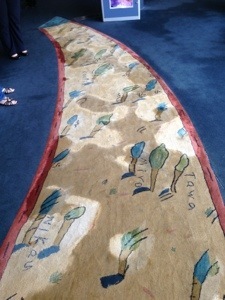 What message does it send? 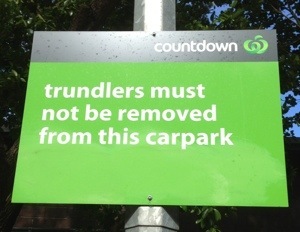 Who is their intended audience? What type of people do you think would apply? What skills would they need? 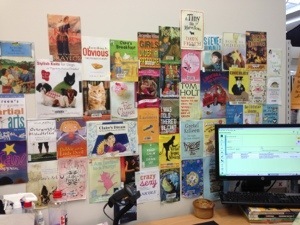 Made me wonder about recruiting librarians and what we would put on a poster such as this….